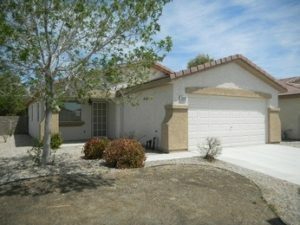 Potential real estate investors in the Las Vegas area looking for reputable hard money lenders may find the task a bit daunting. Just like with any other business investment, there are risks of falling into the hands of unscrupulous dealers and you’ll need to be wary of them. Here are some tips to help you separate the good from the bad and locate the best fit for your investment goals. First things first, be calm. People can sense desperation and only the more sincere ones will overcome the urge to take advantage. Being in a hurry will also lead to many mistakes in your dealings with Las Vegas lenders. Mistakes like accepting loan conditions full of penalties and restrictions or a loan advance rate that’s far below the value of your collateral. If you can take the time to do some online research or just ask for referrals from people you trust, you’re sure to find some honest hard money lending businesses in Las Vegas. After finding a good lender, your next concern would be understanding the conditions for the proposed loan. This is a common pitfall for impatient would-be investors. Check what you’re about to sign. Do you understand the terminologies or is there something you’re not comfortable with? Discuss with the lender first and don’t be afraid to delay the process or even back out if you are not convinced of their sincerity. Make sure you are clear on the duration of the loan, how much you’ll be paying and at what intervals such payments will be due. Some loans can be structured to fail from inception especially adjustable rate or interest only loans. The final payment at the end of the loan term may be unbelievably large and impossible for you to pay off. You’ll need to know how to spot these tricky clauses or work around them. Certainly, avoid loans that are open to change as they’re designed to favor the lender. You just can’t win with those. During your search, you will frequently come across the terms “recourse” and “non-recourse” loans. These terms refer to the two categories of Nevada hard money loans you can access. The recourse loan permits the lender to legally pursue you and even repossess personal assets like your home and still take further legal action against you if your collateral does not cover the loan amount in the event of payment default. A non-recourse loan offers you more protection. The lender may still repossess your house if they can prove negligence, fraud or willful waste etc. on your part but they can’t take legal action against you. Clearly, the non-recourse loan is the more favorable of the two so do check what the lender is offering you before signing the papers. Don’t put yourself in a position where you’ll face additional risks or get conned into paying more than you actually owe. 4. The Lower The Points, The Better for You! Each point on a loan is equivalent to 1% of the total mortgage amount. So for a $500,000 loan, each point is worth $5,000. The loan you’ll be offered will usually carry between four and eight points. The lower the points, the lower the amount you’ll repay in the long run. Try to negotiate the loan to below five points so you can easily keep up with the scheduled payment and other costs. Rarely will you find a Las Vegas hard money lender offering a one point on a loan. There are many components that determine the success or otherwise of a project. At the very top of the list in no particular order, you’ll find factors like the project team, management and planning, the right tools, timing and capital. Take one of these factors out and you are guaranteed a failed project. In the past, nine times out of ten, you would have to approach the banks or other conventional lending institutions. Otherwise, you could go cap in hand to family and friends to help out. These days, your choices are more. If you’ve never heard about or never really paid attention to it, let us introduce you to the concept of hard money lending. 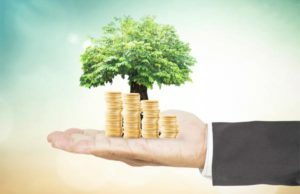 Hard money lending is an alternative but highly successful type of project financing in which the lender provides low leverage, short-term loans of between one to three years with relatively higher interest rates. This practice is also commonly referred to as equity lending, private lending or trust deed investing. These loans are issued by private firms, individual investors or groups of investors, and are backed by collateral in hard assets. Real estate is the most preferred and common form of hard asset. Is a Hard Money Loan the Right Choice For You? If you are resident in Nevada, for instance, and you need external financing, hard money lenders may just be your best option. Note that not every property investment project would be an ideal choice for hard money funding. The peculiarities and expected timeline from start to finish will determine if your proposal will receive backing from the lender. Generally, the shorter the project duration the better and more attractive to the lender. Let’s say you want to remodel an owner occupied property. Chances are high a hard money lender will turn you down. It would be best to look for other loan sources. But, if you have a time-sensitive commercial real estate project like a house flipping venture or a shopping mall construction then chances are high they’ll be willing to deal with you. Many lenders usually prefer shorter term lending where they can close the deal in six months or less. The banks have been around for ages, we all know that. As a result, they tend to already have a larger infrastructure, more staff, and resources to work with compared to the private lenders. The private lenders on their part usually have fewer people and resources to work with so there’s higher speculation, higher risk but less paperwork. The fact that there’s less paperwork is very appealing to borrowers. As anyone that has ever successfully obtained a bank loan will confirm, the paperwork can be intimidating. Banks will ask for your credit history and proof of income because they offer loans based on the borrower’s perceived ability to pay back at regular (usually monthly) intervals. Hard money lenders are not interested in your credit rating. The only information they will ask for is some basic personal information and the value of the asset you are offering as collateral. This makes them a very popular choice among people with poor credit history. Such people stand no chance with the banks. One of the factors for a successful project mentioned at the beginning of this article is the importance of timing. When an investor is in need of money quickly but for some reasons doesn’t get it on time, the whole project could collapse leading to colossal losses. Banks will take their time to scrutinize every single aspect of your project application. They’ll check your qualifications for the loan, go through lots of paperwork and then study the project itself too. It’s not uncommon for loan applications to take weeks or months before approval and disbursement of funds, if ever. For business people working with a tight schedule, you’ll be well advised to leave the banks alone and go for hard money instead. Hard money lenders are used to financing quick projects and they are already structured with that in mind. Their in-house specialists know what’s at stake so they are more flexible bearing in mind that their lending company is getting a higher rate in return out of the deal. The final decision to approve the loan will depend on the value of the property and the amount of risk involved in the venture. Do you find yourself becoming increasingly frustrated because you are handling a project but can’t get funds from the banks? Or maybe you’ve already started the project but are having a funding issue and time is fast running out on you. Just present your collateral to a hard money lender and they just might save the day. The act of fixing and flipping houses remains a popular form of real estate investment and is becoming something of a rage as the real estate market continues to recover and grow in value. This is most likely the most profitable form of fixed asset trading that yields large profits in the shortest time. But be warned, failure to do some background research can result in huge losses for the flipper. The concept behind fix and flipping homes appears simple but experienced hands will tell you it’s not as easy as all those TV reality shows and mainstream media make it look. The investor, in this case, you, buys a house that needs some work, you fix it up, then sell it for a nice profit. The complications come in when you begin to consider the different things you’ll have to contend with. These include getting the right deal in a good location, finding the right contractor to handle the rehabilitation project, valuing the property, getting finance, getting the repairs done right and on time, then finally selling the property at your desired profit. You can see that it’s actually a time-consuming venture. You can’t do this for a few hours weekly and expect to succeed. So, if you’re looking for a nice, quiet side job that will make huge profits while you work a day job, house flipping is not for you. If we are being honest here, the expected profit is usually the greatest motivation for embarking on this exercise. However, many factors will affect the final profit you will get. Such things as the initial purchase price, cost of funds (loan interest rate), repair expenses, advert expenses etc. These expenses will vary widely depending on the location and value of the property. Many people naively expect to make up to six-figures with their first flip. Though not impossible, it’s extremely rare. You could put some checks and balances in place to monitor the investment as you progress. Like discussing with more experienced flippers to know what to expect and to guide you along and determine if you’re going the right way or not. They can also advise you beforehand on the kind of profit margin you could expect after deducting all expenses from the final sales price. From our experience, for a fix and flip that cost you $200,000, when you factor in insurance, loan cost, purchase price, property taxes, selling cost, HOA and so on, the accumulative expense will be in the range of $30,000 and $80,000. How many individual investors have $200,000 or even $100,000 cash lying around to invest? We guess not too many. Most will have some equity but have to borrow the rest. This is where hard money lenders can help. They frequently finance flips but have a higher interest rate than conventional lenders, sometimes up to 15%. Finally, you must understand that every flip is unique. Taxes will vary from state to state so will insurance rates. Some houses are subject to the dues of Homeowner’s Associations, some aren’t. Some flips will be concluded in a couple of months, some will take up to six months not counting things like weather-related delays, logistics problems, and contractor issues. If you can handle all this, feel free to take the first step. You’ll be glad you did. Real assets rarely lose their value, in the rare event that they do, they always rebound quickly. As the owner, you physically hold the assets. Real estate is solid and immovable. Look at it this way, you know how you could wake up one day and your car is no longer in the driveway? Well, your property can’t disappear or get stolen like that. The market is relatively predictable as things don’t just change overnight. It remains one of the best forms of collateral if you’re seeking a commercial loan. 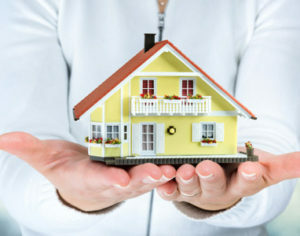 It’s easy to insure your real estate assets by purchasing homeowners insurance. It’s a good investment vehicle for people with a long-term investment goal and a significant amount of funds to invest. 5 Tip for Successful Real Estate Investment – #3 IS Crucial! 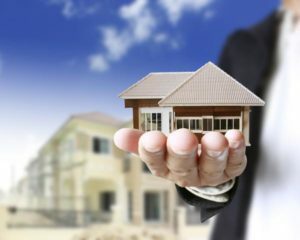 If you’re just starting out in real estate investing, you’ll see that there are quite a number of factors you need to be mindful of in order to succeed. There are many different ways to invest in real estate each with its own intricacies. But we’ll start with the fundamentals. To that end, here’s our selection of 5 basic tips for investing in real estate. This is one of the oldest and most recognized forms of real estate investment. You purchase a property, renovate it, if need be, and put it up for rental. It’s a very desirable source of steady monthly income. As a property owner, you will have to be involved in the running and maintenance of the premises or you can outsource the maintenance if you so choose. There are costs associated with routine maintenance, repairs, etc. but in all, it could be a good way to supplement or even replace your primary source of income depending on how valuable the asset is. This is another old investment type but with more risks involved. You buy a property, modify or renovate it then sell it usually within a short time frame. This is commonly known as “house flipping” and you have to get your strategy right. Though the financial results can be great, for reasons beyond your control you may find you’re unable to sell as quickly as you wanted to or to sell for a profitable figure. A good scenario for profit would be finding a rundown property in an expensive neighborhood and fixing it up. But remember to do your homework. It’s always been location, location, location! A “bad” location may sink your investment dreams prematurely. Before you make any kind of payment make sure the location is good. The right location will yield excellent returns for you. Decide the kind of property you wish to invest in and exactly how it will generate profit for you. If, for instance, you are looking to flip houses, a good rule of thumb for quick profit here is “Best Street, Worst house.” Meaning great/expensive location but the house needs some work. This kind of investment decision beforehand will help you narrow down your search to the location/property that would make your investment goals a reality. You can thereafter decide if to source for funds through conventional or hard money lenders. It could cost you dearly to just rush into real estate investing. The fundamental rule of good real estate investment is to know as much as possible about the local market you’re getting into and the forces controlling it. Take time to find the right property for your goals. You’ll be in a better position to make an informed decision and decide if that’s the right time to invest or to wait a while. Don’t shy away from expert advice if you can afford it. You’re investing a lot of money so do your research. Check out the general area and the property itself. Have a professional carry out an audit of the property to confirm the general condition of the building. The audit can be as detailed as you want but should include a structural audit (roof, foundation) if you intend holding the property for long or you plan to make major changes to the structure. Making the decision to invest in real estate is a good one just make sure you don’t rush into it. Find a form of investment that suits your personality. For a potential landlord, the steady income is good but can you stand the hassle of operating costs and dealing with tenants? If you want to flip houses can you withstand the tension that sometimes comes with it? Understanding your personality will help you choose the option that’s best for you. Practically everyone knows that there is scope of making money in the world. They also know that all they require is a little boost or help from someone who believed in their money-making capabilities so that they can make it in life. If you are one of those looking for that one person who can help you, you’ll definitely not look at banks for support. You in fact are most probably sick and tired of the ways of these old-fashioned banks who don’t know that there are so many ways for people in today’s world to make money. You’ll now be happy to know that it is now possible to avoid dealing with banks and still make money. This is because the helping hand you wren always looking for can be found in hard money lenders. 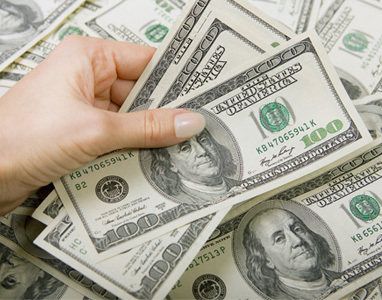 It is these hard money lenders who will finally help make your money-making dream a reality. Many people detest heading to the bank to ask for loans as they don’t want to go through the hassles of filling up all those papers, only to end up with their request declined. It’s even more difficult for you to get through the ordeal if you know you don’t have such a good credit rating. However if you are looking for some financial help to buy property which you later aim to flip at a huge profit, you need not worry about, or go through the humiliation of dealing with banks. This is because you just need the name and contact information of a hard money lender living close to you so that you can start flipping properties. These hard money lenders don’t bother with checking your credit rating, and are not bothered about your present occupation, the vehicle you drive or where you live. All they are interested in is giving you the money you need to start flipping houses, so that you can earn lots of money through it. There are quite a few people who are apprehensive about making money flipping houses as they think it’s rather risky. However if you concentrate on flipping houses, and do it correctly, you will soon walk away earning some profit. The most important thing you need to remember here is that every home has a buyer. So while you may not make a profit flipping houses, you will at least not make any losses. Supposing you buy and renovate a property, and it does not get sold, you still have the chance of selling the property to the state. You can then use the money generated to repay the money the hard money lender had lent you. You thus eventually end up earning as much as the property’s value which is a profit for you, even if you could not privately sell the property. Looking at this, you wonder why you cannot try this as there’s no reason for your no using this opportunity. Many people dream of making it big in the hot real estate markets of Las Vegas, Nevada but are not that keen on taking such a high risk. The easiest method for a person, especially someone with a low credit score, to enter the real estate market is to borrow and invest money from a hard money lender. So if you are tired of your 9 to 5 schedule, following your boss’s orders and sitting all day in an office or warehouse, there is now an alternative available for you. There are in fact very few people who actually work for someone else day in and day out, whiteout an end to their routine. You should consider trying your luck at the real estate business to put an end to this hell and routine. You will then be able to work at your convenience while following the rules you set. There is one problem you may have; finding a local hard money lender. While this is a common problem, there are also many special tools you can use to simplify your search for this information from search engines. Just go online and start doing your research by typing in the keywords hard money lender and your zip code’ and you will immediately receive some pages of results which you have to check. If you wonder about the authenticity and safety of dealing with various Nevada and Las Vegas hard money lenders you find online, just check their local reviews. There are a few sites like Angie’s List which provides you with such relevant information. These sites provide reviews not only for hard money lenders, but for all professional services provided in different areas. These reviews can be trusted as they are written by people and not robots. The reviews offered on these sites don’t run into pages, but are concise and offer precise information. In fact, they usually answer all the questions you may have about different providers. The best way to find reputable and trustworthy hard money lenders in Las Vegas is through personal recommendations. This means you have to contact friends, family and colleagues, tell them about your plans and ask if any of them have used the services of any hard money lender before. You are lucky if they have used their services before, and are happy with the service rendered, as there’s no better referral you can expect. Your friends and family will obviously not recommend or send you to someone who isn’t trustworthy or reputable as they think. You basically have to ask yourself the question of whether there is a need of your tolerating a job you despise, and living without the money you wish to have in your bank account. There are so many avenues for you to earn money based on your own earning potential and one of them is by entering the real estate market. The present world economy is avoiding the recession it had faced a few years back which is why this is the best time for you to enter the market. While the art of flipping houses seems so complicated, it isn’t as it’s not so complicated. You just have to locate and buy a neglected piece of property in a prime area, make necessary renovations to fix it up and then sell it as quickly as possible. You will then be able to repay the loan borrowed from the hard money lender and walk away happy with the earnings generated. Remember, only you can decide what you want from life. If you wish to have sufficient money in your account to pay for things for your family, it’s time you started thinking about using someone else’s money to make money. When in July 2016 the U.S. Census Bureau reported the lowest rate of homeownership in 51 years, not a few people were alarmed including then Presidential contestant, Donald Trump. The Presidential election that followed a few months later was full of surprises and a few scandalous revelations. The air of uncertainty among the American people and globally was palpable. You could feel it and as expected, the financial markets responded sharply and accordingly. But how did the real estate market fare? Well, real estate translates to big money and big money spenders are usually reluctant to make decisions that will commit them to long-term financing during election years. They will usually postpone major projects till the elections are done. Obviously, this tends to create a lull in business activity but so far data from the commercial real estate market has not shown evidence of that. Though it’s hard to discern exactly what will happen, here’s how we see the real estate market responding to the fallout of one of the most contentious U.S. elections we have seen so far. If you were to say the November 2016 U.S. election was the most contentious ever, you wouldn’t be mistaken. But while the electronic and social media were busy magnifying the political differences of both parties, they failed to notice one thing; both candidates had a lot in common regarding their business outlook. They both agreed on the need to support current infrastructure by improving the nation’s sea and airports, bridges, road networks, and power lines and also create more jobs, as a way to kick-start U.S. economic growth. They showed open support for Janet Yellen’s push for a low-interest rate policy. She still occupies the post of Chairwoman of the Federal Reserve till date. These points all mean well for the real estate market because lowering interest rates will keep the cost of commercial real estate financing down. While increased jobs coupled with better infrastructure will enhance activity in both commercial and residential real estate. Building up to the final Election Day, both candidates had differing tax proposals. Clinton’s tax proposal was directed at encouraging business incentives. She planned to offer benefits for corporations that share profits with employees or establish apprenticeship programs. She was very vocal about discouraging American-based companies from moving their operations overseas as this would lead to more job losses. She planned to impose tougher restrictions on those companies that leave American soil. Interestingly, Donald Trump had the same view on the matter. Though immediate past President, Barack Obama, had planned on cutting corporate tax rates, Hillary Clinton did not specifically address that topic. Trump’s tax proposal then was a sharp cut in corporate tax rate from the nominal rate of 39.1% to 15%. Such a significant cut has the potential to stimulate economic activity. The commercial real estate market will not be left out as businesses expand as a result of this cut. Will Trump’s controversial immigration policies make this country become so unbearable that even immigrants and minorities that are not deported outright would choose to leave on their own, taking their money away with them and leaving many once occupied homes behind and empty? This issue is still under observation. But we can say that his immigration policies could deter foreign investment in U.S. real estate. The multiplier effect would be limited price growth and possibly a reduction in the demand for housing. The last elections presented us with a choice between two candidates with very different backgrounds and personal orientations. The Democratic nominee, Hillary Clinton is no newcomer to politics but it was surprising to see a possible indictment due to issues surrounding an FBI investigation questioning her use of a private email server. 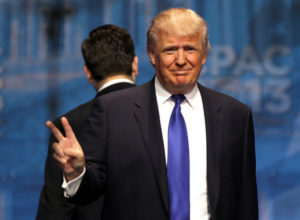 Donald Trump on his part did not come up through political, or military ranks. This was evident in his interaction with the arms of Government including the FBI, the Senate, and Congress and so on both during and after the elections. We can’t say exactly how it’s going to play out but we’ll safely say the uncertainties will continue for a while yet. During the elections, though both candidates offered proposals aimed at supporting business and that would eventually boost real estate prices, the prevailing tendency has been that asset prices in the real sector rise much slower in election years. This is largely due to the sense of uncertainty that most presidential elections create. It’s more evident when you have a 2-term President vacating the seat. Coupled with the earlier discussed point on immigrant housing, you can expect property price increase to be slow for a while yet. What Can We Expect In The Commercial Real Estate Sector Going Forward? It’s not all doom and gloom. Despite the surprising election result, there are still many positives that could boost the performance of the commercial real estate market. Majorly, when you consider the Federal Reserve’s commitment to keeping a low-interest policy, it’s clear there will be many advantages for both borrowers and lenders in commercial real estate financing. Investors should remember that real estate investment remains a rock solid avenue to put their money in. If they can just stay focused on the big picture and ignore many of the short term volatility and naysayers, they could find themselves reaping from the ripple effect of the low interest rates throughout 2017. There are many reasons why borrowers sometimes find themselves at a disadvantage after signing a commercial mortgage agreement. Sneaky loan clauses and unfavorable loan covenants are not properly understood and the lender doesn’t take the time to explain every point to the borrower. Most times, the borrower is in a hurry to get over the paperwork and access the funds being promised them. It doesn’t help that mortgage agreements are usually in the range of 10 pages of fine print. Borrowers forget that they’ll have to endure any unpleasant loan condition for the entire lifespan of the loan. You will be saving yourself a whole lot of pain, financial loss and regret if you take the time to prepare yourself and know what to look out for before putting pen to paper. Let’s start with the loan payment agreement. The payment terms for a commercial mortgage will usually include conditions to protect both parties to the loan. Taking your time to go through these conditions and understanding their implications will put you in a better position to assess the risk and know your potential responsibilities should you decide to go ahead with the loan. Consider the kind of loan repayment feature being offered you. Will the loan continue with regularly scheduled payments on an amortization schedule or is it a balloon payment loan requiring you to pay a large balance at the end of the loan period? Balloon payment loans are more common with commercial rather than individual consumer lending. They are fixed rate loans, so whether rates fall or rise, it won’t affect the agreed loan rates even over a long period of time. This could be an advantage or disadvantage to the borrower. If rates rise, you still maintain your low monthly payments but if they fall, you can’t renegotiate for lower payment terms. Also, signing a long-term, fixed rate loan means it could cost you dearly to enjoy lower monthly payments if interest rates fall because of the inevitable loan prepayment penalty. Fortunately, there is usually a provision in commercial loans with balloon payments of a standard period of months just before the loan is due where there’s no penalty for prepayment. You should be clear on exactly how long your zero-prepay penalty period is and how much penalty if any you’ll have to pay. You can usually expect to pay about 80% of six months interest as prepayment penalty. If for some reason you are unable to source funds to refinance your principal amount through a conventional lender, note that many alternative commercial lending options exist such as that offered by Las Vegas Funding. Your commercial mortgage will include many binding covenants in addition to the financial agreement. Loan covenants are conditions imposed on you, the borrower. They are made to ensure you fulfill certain conditions and will in many cases forbid you from undertaking certain actions. They also serve as a kind of performance indicator for the lender to monitor the direction the investment is going. These conditions can be financial, affirmative, information based and some typical restrictions include; controls on operating activity, scheduled reporting and disclosure, asset sale, investment expenditure and so on. Covenants have the potential of becoming very negative if not properly managed. The debtor’s economic freedom could become stifled due to excessive control on the part of the lender leading to decreased efficiency. Check all the covenants carefully before you sign. Remember that if you breach any of the conditions, the lender has the right to call the loan or demand a higher interest rate. You may also be forced to undertake certain actions in order to maintain the relationship with the lender. Commercial mortgage lenders will need proof of your financial position. Expect to provide information like the current cash flow from your commercial property, your own personal financial information and financial reports from any entity with a claim to the title of the property. They will likely ask for your balance sheet statements, submissions of tax returns, and income and expense statements. You’ll need to provide this info on a continuous basis for the lifetime of the loan at preset intervals usually quarterly, half-yearly or yearly. Take note of exactly when you are to provide these reports. 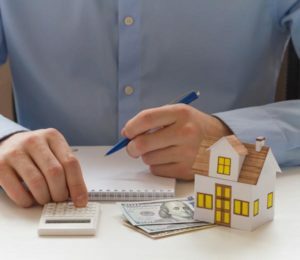 Some lenders will ask that you maintain a specified positive cash flow level or a debt-to-cash-flow ratio may be included as a condition for obtaining the loan. Presenting all this information may not be a major problem for the borrower per say, but it can become burdensome and look like an intrusion into their privacy. In a recourse loan agreement, the borrower and guarantors are personally liable for any outstanding loan balance in addition to the collateral. A non-recourse covenant restricts the lender to compensation in the form of only the value of the loan collateral (in this case property) in the case of default. So even if the collateral doesn’t cover the full value of the loan amount, the lender cannot pursue the borrower for further compensation. Many borrowers prefer the non-recourse option to protect their personal assets in the case of loan default. But, they must be mindful of carve out provisions commonly known as bad boy guarantees. A bad boy guarantee will allow the lender legally pursue the borrower in certain conditions like willful waste, fraud, committing criminal acts, not maintaining required insurance, misappropriation, bankruptcy etc. You may want to carefully weigh your choices between recourse and non-recourse loans as each has its pros and cons. A recourse loan, for instance, will typically offer you lower interest rates and reduced margin requirements. So if the loan request comes with a minimal loan-to-value ratio, selling the collateral in case of default will likely mean no loss on the part of the lender and there would be no need to pursue the borrower further. This kind of commercial mortgages transfers some of the interest rate risk from the lender to the borrower. They are common when unpredictable interest rates exist and as a result, fixed rate loans are difficult to obtain. They can be structured in many ways that will determine how expensive the loan is. You’ll need to know how often you can expect the rate to adjust and the cap per each period. There should be some margin for the maximum (ceiling) and minimum (floor) rates expected. Sometimes, the minimum rate will even fall below the initial rate at the start of the loan. As a borrower, you will benefit when the rates fall but lose if the rates increase. The Referencing market index serves as a kind of benchmark when setting the interest rate calculation for the loan. The London Interbank Offer Rate or LIBOR remains one of the most popular mortgage indices in the market. Other indices include prime, and averages from Treasury bills, financial institutions Certificates of Deposit, the Cost of Funds/ the Cost of Savings, or even swaps. The interest rate is determined by adding a margin to the preferred index. So if you’re using the LIBOR at 2.5% margin and your mortgage index is 3%, the interest rate on the loan would be 5.5%. The agreed index average that’s used for the loan interest rate can be calculated across different time frames like 6 months or annually. You can have a better idea of how the interest rate on your loan will fluctuate by doing a trend analysis of the historical performance of the selected index for your loan. Many borrowers don’t understand the implications of a “prepayment penalty” or why it should even exist in the first place. This penalty is commonly known as a “prepay,” and most lenders will as a policy add a prepayment penalty clause to their commercial loans. 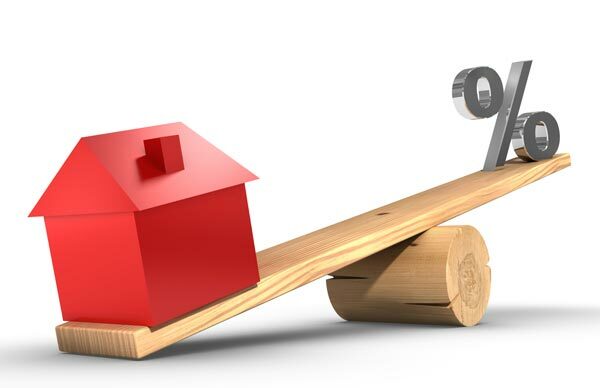 When the borrower chooses to pay in excess of the agreed rate within a certain timeframe, as could happen if the borrower decides to sell the house or refinance the loan, the penalty can take effect. They come in various forms like step-downs, soft prepayment penalty, lock-out periods, yield maintenance and defeasance. You need to come clean with the borrower at the negotiation stage if you expect to sell or refinance sometime within the timeline of the loan. This will help you understand the effect any prepayment penalty will have on your plans. It happens all the time and is a common mistake among borrowers. Never assume that the final loan documents have the same terms as those you received previously. Look out for discrepancies between the letter of interest and the final commitment letter. Any variations must be resolved with the lender before you agree to sign. These are usually last-minute, routine checkbox items you must satisfy before the funds are released. Some of the conditions include confirmation of funds deposited with the lender, proof of insurance etc. Failure to complete this last step will delay the loan closing! You can see from the above that a loan signing is not something to be taken lightly. The risk involved if the project fails or you default could mean financial ruin for you, and that’s no exaggeration. The tips we have given you will help you weed out these pitfalls and put you in a better bargaining position with your lender. As the funding terrain in the real estate investment sector continues to evolve, both beginner and experienced commercial real estate investors find that they have many more options available to them than in past years. They can now confidently secure commercial real estate loans faster and with fewer complexities than they would experience when approaching traditional commercial lenders like banks and other conventional lending institutions. Who wants to go through the disheartening back and forth, stringent lending guidelines and endless paperwork of the older lending brigade when they could achieve the same result faster through hard money lenders? Certainly not you, we bet. Commercial hard money lending continues to grow in popularity and the trend is not slowing down anytime soon. Why should it? As more and more individual borrowers notice that they can quickly get funds for their hard-to-place real estate deals through us even when other commercial lenders won’t help, our customer base continues to grow. We are convinced that the more people that come to know about hard money lending and how it works, the better. Our years of experience in this field has allowed us to see the positive impact on the lives and businesses of our clients. Working with us could be one of the best and most important decisions you’ll ever make. Below you’ll find the information you need on hard money loans, how they work and a few tips to help you make an informed decision. What Does Commercial Hard Money Loan Mean? Without wasting too much of your time on technicalities, we’ll boil it down to the major thing you need to know. The difference between commercial hard money lenders and traditional commercial bank loans is in the way they mitigate risk. 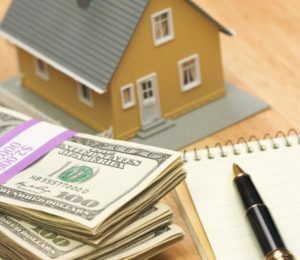 They both use depositors/investors’ money to fund your real estate projects so they need to have their back covered if “things go south.” It doesn’t matter the type of loan, as long as money is changing hands, the lender must have a strategy in place to recover their money in case of default. The age-old strategy of private banking institutions is pretty straight forward. They focus on the borrower’s credit performance, basically, their financial position and ability to ability to make payments when due. That’s why they’ll ask you for information like your credit history and payroll proof to make an informed decision on whether or not to approve the requested loan. The major weakness of the banks is that as interest rates inevitably rise, they will keep turning down even more loan applications making the whole qualification process more difficult. The commercial hard money lending concerns have an asset based risk mitigation strategy. The loan they’ll offer you will be a “safe” percentage of the estimated value of the property you offer as a collateral. That way, even borrowers with a poor credit rating can get funds here. In cases of default, the collateral obviously will be liquidated to recover the lenders money. Step 1 – Identify the lender you want to work with. There are many ways to find reputable hard money lenders but we’ll advise you read online reviews or ask around for referrals. Discuss with them and make sure all your questions are answered and you are handled in a professional manner before you go ahead. Note that not every lender will be the right fit or will offer you the kind of services you want. Step 2 – Prepare and present your collateral. As mentioned before, this kind of lending is real asset based. Preferably, you should offer properties like industrial property, non-owner occupied family properties registered in a corporate or LLC name, retail property, office buildings and apartment buildings. Step 3 – Getting an accurate estimate of the properties worth. Properly assessing the project’s final price is vital to the success of the loan application so the lender will at this point request a BPO. Once that is done, you will get a loan advance rate offer based on a percentage of the value of the asset. Step 4 – Funding. If you’re okay with the amount offered and everything else checks out, the funds will be released to you. Why Is Hard Money Lending So Popular? No stress about credit rating. We are primarily concerned with the value of your asset collateral. Though a good rating score won’t hurt, it’s not really our focus. If for some reason you can’t get a standard mortgage, this could be a suitable alternative for you. Our loans are faster to access. House flippers, in particular, stand a better chance of getting the needed money quickly through us. If you were to go the traditional banking route, you can expect to wait many weeks or months before getting the funds. The conditions and interest rates are different from conventional lenders. Standard mortgage loans run from ten to forty years and come with low-interest rates. Hard money commercial loans run from one up to three years but with a higher interest rate. They are ideal for experienced real estate traders who want access to quick funds. The potential profits of the venture will more than make up for the higher interest rate. In conclusion, if you’ve never considered approaching a hard money lender, you seriously need to think about it. Whether you’ve already been turned down by the bank or not is inconsequential when you are looking for a quick real estate transaction. Why try running a race track with an 8-wheeler (the banks) when you can use a Ferrari (us)? We all want to make money. The main hassle is the how and what of making money. Many choices exist but real estate investment remains one of the top most solid, and reliable sources for money making with the potential for great profit. Basically, you find a cheap house that’s up for sale. Put in some money to buy it and depending on the condition of the house, you spend some money and time renovating and fixing it up. Advertise it any way you choose and sell it for a tidy profit. House flippers have been known to make tons of money running into six figures with some perseverance and favorable conditions like location and so on. Now, read up a bit about house flipping and you will see that many people shy away from it as they fear it’s too risky. We can tell you from experience that with focus and a good strategy, you’re very likely going to walk away from the transaction with enough profit to be worth much more than the initial effort you put into it. This is because after all said and done, there’s a buyer for every home. Granted, you may not always make a profit with every single deal but you will at the least not make a loss. If you are looking for a way to escape the drudgery of a boring 9-5 job that you probably don’t have the passion for or you just want to get rid of your boss and manage your time on your own terms, the real estate business would be just the thing for you. By now, you’re probably interested in this house flipping business. The catch is, in the real world, you must spend some money to make money. Real estate investing is no different. So, the next hurdle is: How do you get this money to invest? Do you have people with cash lying around that believe in your abilities and dreams? Lucky for you if you do because the majority of us don’t. The most common option would be getting a bank loan but that is no walk in the park. What about the banks? After all, they have piles of cash and they’re begging for you to pick up the phone and make an appointment for a loan discussion. At least that’s what those endless media advertisements want us to believe. But, don’t be fooled because strangely they still cling to their old-fashioned ideas on how to make money. Banks have a flair for an unbelievable disregard to new ways of making money in the modern world and they could frustrate you out of a good idea especially when time is of the essence. If you are searching for quick funds in a more responsive environment, you should seriously consider hard money lenders. Hard money lenders fill a special gap in the investment world. Most people are reluctant to approach banks for loans and this is understandable. The confusing ton of paperwork and high probability of being turned down is disheartening. If you have a poor credit rating, please just forget about the banks entirely. This is where hard money lenders come in and turn your fast fading dreams into a reality. Have you spotted a good deal on a fixer-upper? Be sure that other people would have spotted it too and you have to act fast! Forget the degradation of approaching the banks. 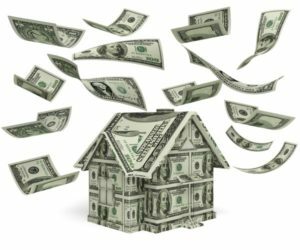 Just find the name and contact information of a hard money lender near you and you can start flipping houses for large sums of profit. They are not bothered by your credit score or your social status like your job, the car you drive or the kind of neighborhood in which you live. Their main concern is getting you the cash you need to flip that house or houses quickly and start making profit. They remain the simplest way to enter real estate investment, especially for people with low credit ratings. Just borrow what you need and use it for the desired investment. The speed and ease of entry when dealing with hard money lenders mean that you can take advantage of hot real estate markets right now. Think Las Vegas, Henderson market or even Upstate Nevada. Many investors are interested in these markets but are afraid of exposure to high risk. With the information here, you are already at an advantage over them. If after all your efforts you’re unable to sell the house privately, no worries. You can sell to the state with no loss on your part and use the money to repay the hard money lender. You would have gained some experience in house flipping and who knows, your next deal may just surpass your profit expectations. How to Find Hard Money Lenders? Finding hard money lenders in your local area may be a bit of a challenge. This is a common problem if you don’t know how to search for them. There are special search terminologies you should enter into online search engines to get the information needed. Just type “hard money lender” and your zip code, and you’ll receive pages of results in seconds. How do you know which money lender to trust? Read reviews and ask for referrals from real, human clients like yourself. To get reassurance about the many Nevada and Las Vegas hard money lenders you will find online, check out the reviews for your own specific area. Sites like Yelp and Angie’s List will help you with vital information in a straight-to-the-point, easy to read format. Plus, some of the questions you may want to ask are already answered by the reviewers and they are humans, not robots. The key to find reputable hard money lenders in Southern Nevada would be to ask for personal referrals. Word of mouth referral still remains one of the best sources of reliable information on goods and services in the market. Discuss with your family, friends and trusted acquaintances like your colleagues about your plans and inquire if they have patronized hard money lenders in the past. Satisfied clients will quickly give you referrals to the best money lenders you can find in this area as they won’t want you to be cheated or have a nasty experience. Though flipping houses sounds complicated to a beginner investor, it’s not as hard as people perceive it to be. Find a house in a good location, fix it up and sell quickly. Settle your loan with the hard money lender, make a tidy profit and walk away or invest again in another house flipping deal. With time, you will find that your money in the bank begins to grow all by using your abilities and other people’s money. Best of all, the global economy is recovering from the recession of the past years and as always, the real estate market will remain at its top spot in the investment world. If you can ride this wave and make enough money to take care of your family and possibly quit your undesirable job, what more could one ask for in life? There are many reasons why you would need to estimate the value of a property. Typical reasons include estimating the value before purchase or sale, getting the accurate collateral value in the case of a loan application, for buying out a partner’s interest and so on. For commercial investment purposes, both the borrower and the lender would protect their interests by understanding the value of the subject property. That value is the basis or foundation on which the loan amount will be calculated. For this reason, property valuation remains a vital first step for any commercial mortgage whether a soft money or hard money loan. You may already be familiar with the more common traditional real estate appraisal. Estate appraisals are carried out by a third party. They are very comprehensive and are not biased in their estimate of market value. The Brokers Price Opinion or BPO is another well-known option for estimating property value with some distinct characteristics to the Real Estate Appraisal. What is the Brokers Price Opinion(BPO)? Though many instruments for accurate commercial property valuation exist, for illustration purposes, we’ll compare the BPO with Real Estate Appraisal as many people already have a good understanding of how the appraisal work. The major differences between BPO and appraisals are the cost of execution and the comprehensiveness of the finished report. BPOs are a fraction of the cost of appraisals because they are far less comprehensive. Appraisals require detailed and extensive examination of the target property. Mortgage companies and lenders will use BPOs where they feel the complexity of an appraisal are unnecessary. BPOs are also typically performed for divorce proceedings, foreclosure proceedings, short sale approvals, private estate valuations or where the broker has an intention to buy the property so the motives are quite different from that of a full appraisal. Note that BPOs may be inadmissible in some instances like for making a tax appeal. The regulations regarding BPOs vary from state to state so check with a lawyer before ordering a BPO. There are two major types of BPOs: the Drive-By BPO and Internal BPO. In a Drive-By BPO, the aim is not to alarm or disturb the residents of the house (usually the borrower). It is less intrusive. 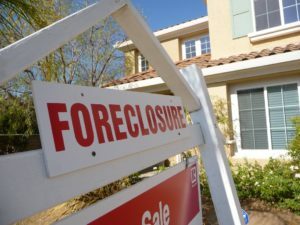 Typically, the house is still occupied by the borrower but the lender wants to have a good idea of the condition of the property if they need to foreclose in the near future. 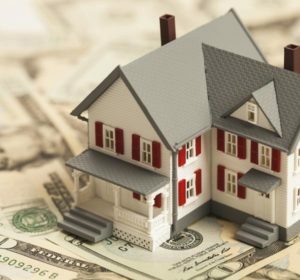 hard money loan borrowersThe Drive-By BPO allows the appointed broker estimate the value without entering into an antagonistic situation with the borrower. But don’t be fooled by the name, the information collected in this type of BPO is not casual at all and will include things like; visual condition of the exterior, estimated room count, estimated square feet, conformity to neighborhood and zoning, etc. It’s a very tentative kind of valuation and a sort of discovery mission for the lender. An internal BPO can happen when the lender has permission to enter the building or they know for a fact that the commercial property is vacant. A key prerequisite for an Internal BPO is that the building must be unoccupied or if occupied, they have been given permission for the visit. This kind of BPO is a more similar to an appraisal since the broker is able to enter the property in question. In addition to the information collected in the Drive-By BPO, an Internal BPO will ask for accurate figures in things like room count and square footage rather than an estimate. The broker will also have to take pictures of the interior spaces and rooms in the house especially in an impending foreclosure situation. The risk is high that they will be some internal damage because of borrower’s tearing out fixtures since they know they are losing the property. Since commercial real estate units are usually much larger than residential units, a more thorough BPO is desirable and beneficial and will give a more accurate property valuation figure. Though they cost more than the Drive-By BPO, the benefits are tipped in favor of using the Internal BPO. How Does The Broker Arrive At A Final Opinion? Many variables will affect the final estimated value of the property. The broker will consider things like the type and condition of the structure, wear and tear, parking space, room sizes and uses. He may also make a comparison with similar properties in the same neighborhood as a kind of benchmark when fixing the value. Any foreseen renovation costs are calculated and noted. As you can see, except for the most experienced brokers, a Drive-By BPO may just be comparable to shooting in the dark when you consider all the information that is lost. BPOs are becoming a popular choice for commercial hard money lenders and it’s easy to see why. The major attraction to borrowers is the benefit of closing the loan fast especially when they’re purchasing or refinancing a commercial property. Appraisals cost money and time but a fast BPO assessment will give the value of the property on which the loan figure will be based all within a shorter timeframe. If you’re shopping for a commercial hard money loan, you can reduce the stress involved in the process by opting for a Brokers Price Opinion as it will do just fine in most instances. Your loan will be ready in record time making it possible for you to move on to other things. © 2017 South Wind Financial. All rights reserved.